I began working online with Coach Rob in June 2015 with the goal of competing in my first Bikini Competition. The amount of effort and heart he put into supporting me toward my stage debut exceeded my expectations. I remember being super excited to attend my first bodybuilding competition on July 4th, 2015. At this time, I was already planning on competing in a show later on, but I didn’t have a coach at that time. I started working with Rob in August 2014. 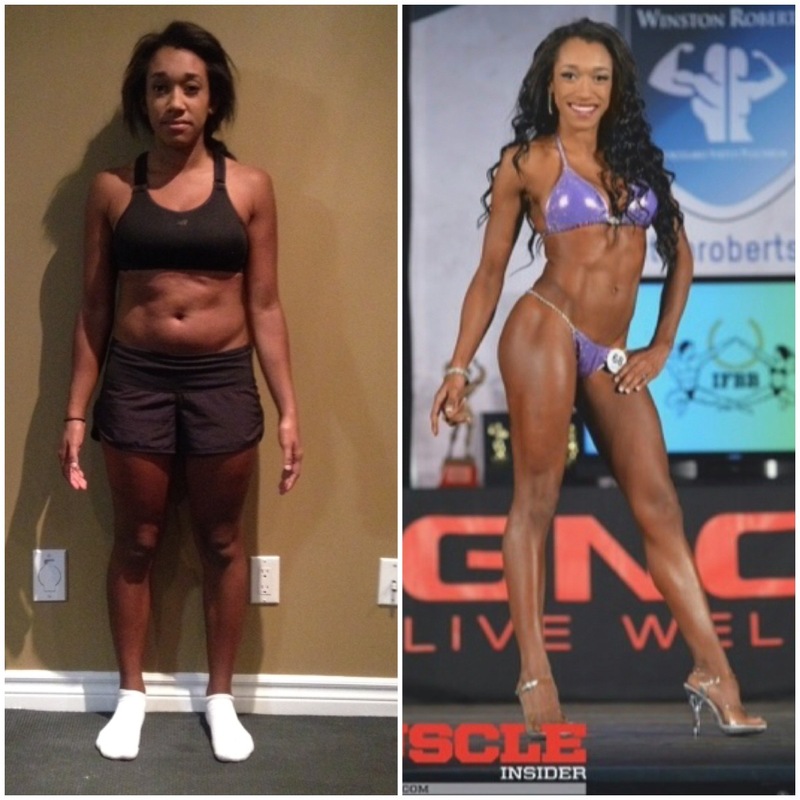 I had previously competed in 2 fitness shows with another coach who lived in a different city and I had been thinking about switching to a local coach. My husband had been using Rob as a coach for about a year and was getting great results so I decided to meet with him. in my current nutrition and fitness routine. I had hit a plateau. Rob was very welcoming and easy to talk to. I went to watch 4 of my friends compete in Men’s physique at the 2013 Ottawa Championship, it was the first show I had seen and I thought the whole experience was incredible! I decided right then and there to set the goal of competing in a show within the next year.